Bloomsbury Auctions เตรียมขาย Harry Potter and the Philosopher’s Stone ฉบับจิ๋ว ที่เขียนและวาดด้วยลายมือเจ.เค.โรว์ลิ่ง! 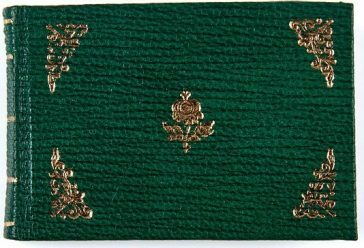 Pic: Bloomsbury/BNPS That’s Magic – Massive price for tiny book. 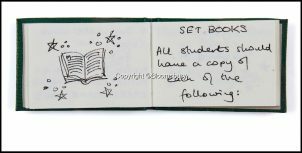 A miniature Harry Potter manuscript written and illustrated by J.K. Rowling has emerged for sale for a whopping £120,000. 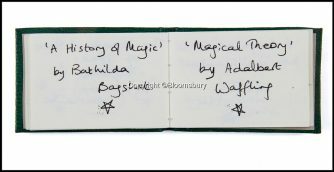 The tiny book measuring just 1.6ins x 2.4ins was created by Rowling for a charity event in 2004. Just 31 pages long, the tiny book is full of short extracts and drawings connected to Harry Potter and the Philosopher’s Stone. 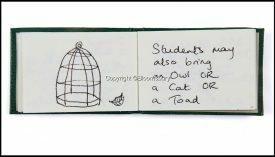 Included in the pages are hand drawn images of a broomstick, a cauldron, a wand and a witch’s hat, as well as a reminder to parents that ‘first years are not allowed their own broomsticks’. 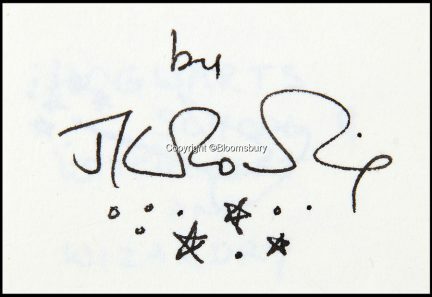 The book is being sold by Bloomsbury Auctions.